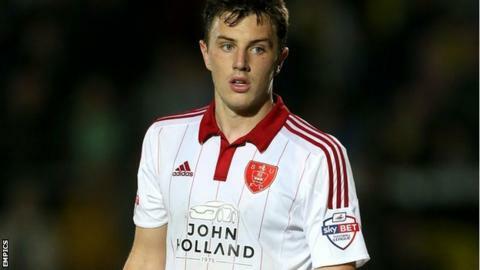 Sheffield United midfielder Kieran Wallace has signed a new deal to run through until the summer of 2018. The 20-year-old joined the Blades from non-league Ilkeston last November. He has made 15 appearances for United this season, but has yet to score his first goal for the team. Boss Nigel Adkins told the club website: "We are very pleased to have extended Kieran's contract and we hope it will give him more stability moving forward."